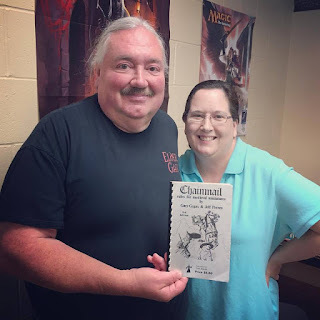 Let me take a moment to point toward a fun blog for those who might enjoy "A Blog of Tournaments, Painting, Terrain, and Podcasts about Warhammer Fantasy Battles. Over Da Top Gaming claims to take gaming to the extreme with conversions and painting to test the limits of miniature warfare!" Chuck Jiardina, who runs the blog, has been at it for over half a decade, so there is plenty of back reading to do for those who are new to it. See more here!